Northeast Harbor is a picturesque village on Maine's Mount Desert Island. Besides its beautiful homes and harbor, it has an interesting and pleasant network of undulating woods trails. They are located in a hilly section named Schoolhouse Ledge, bounded by Lower Hadlock Pond on the north, the Asticou Inn on the east, Northeast Harbor's downtown on the south and the Northeast Harbor Golf Course on the west. It used to be a confusing place to hike, but that changed this summer. The Northeast Harbor Village Improvement Society (NEHVIS) has produced a free map that will safely guide hikers throughout this area. 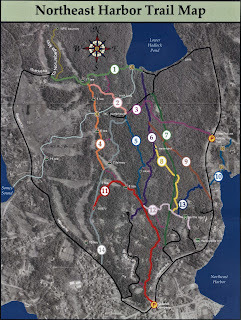 It identifies the locations of the 7-mile network of 14 marked trails. As more new trail signs are made and posted, the trail network will become even clearer. The NEHVIS was incorporated in 1898 to care for the village's commonweal. Committees were formed to ensure the heath of its food, water and milk, improve the road conditions, plant trees and flora, and in general make the village a healthy, comfortable and appealing place in which to live and work. Among the committees was the Path Committee. It comprised people who built and maintained the village's paths. One of them was Gordon Falt, a 20-year Path Committee chairman. 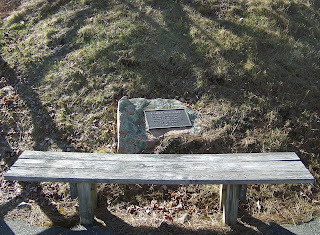 His memorial, which is alongside the wooden steps descending east from Main Street via Old Firehouse Lane to the harbor's parking lot, states: Gordon H. Falt, Devoted Designer of the Beauty of this Village and Staunch Sustainer of its Trails. 1900-1981. *1 Among the trails he built was the Asticou Brook Trail. Located at the north end of the harbor, it descends from Route 3/Peabody Drive along the brook on the west side of the 1883 Asticou Inn until it reaches the head of the harbor and then turns southwest to end at Route 198/Harborside Road. Trail names, such as Bridle Path, Cliff Trail, Quarry Trail, Steep Trail and the above-mentioned Asticou Brook Trail, give the hiker an idea of what to expect. The quizzically named Skidoo Trail is a head scratcher. A 1915 path guide states: "Built in 1914, it is called the 'Skidoo Trail' on account of the twenty-three steps at its commencement from the high road [Harborside Road]. "*2 Wikipedia tells us further that "23 skidoo (sometimes 23 skiddoo) is an American slang phrase popularized during the early twentieth century, first attested before World War I and becoming popular during the 1920s. It generally refers to leaving quickly, being forced to leave quickly by someone else, or taking advantage of a propitious opportunity to leave, that is, 'getting [out] while the getting's good.' The exact origin of the phrase is uncertain. 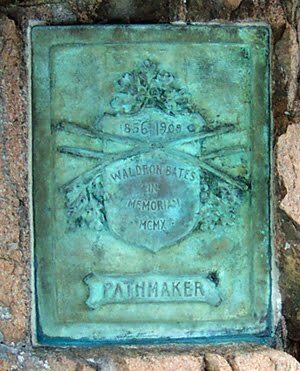 "*3 Equally uncertain is the location of the 23 steps, as they are not in evidence at the trail's Harborside Road entrance. The "Northeast Harbor Trail Map" is in the form of an attractive brochure available at a number of village venues, including the Northeast Harbor Library and the Chamber of Commerce. Pick up a copy and give Schoolhouse Ledge a try. If you find it enjoyable and satisfying, which I'm sure you will, then let the NEHVIS know. They'll appreciate hearing from you. 2 A Path Guide of Mount Desert Island, Maine, p. 28. Published by The Village Improvement Societies of Bar Harbor, Seal Harbor, Northeast [sic], and Southwest Harbor. 1915.